Belle teaches English, Literature and Social Studies at a Secondary level. She also teaches IB Chinese at all levels. She also teaches English and Mathematics at a Primary level. She has more than 7 years of teaching experience. 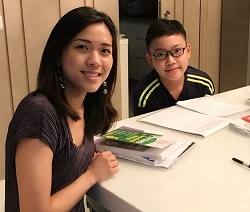 Belle is a trained teacher with Singapore NIE (National Institute Of Education). She graduated from one of the GO8 (Group of Eight) Universities in Australia – University of Western Australia. Prior to becoming full time tutor, Belle taught several years in local schools, such as Crescent Girls’ School. She specialises in English and humanities such as Literature and Social Studies. As a professional tutor, Belle also developed special techniques in teaching IB Chinese to International students. 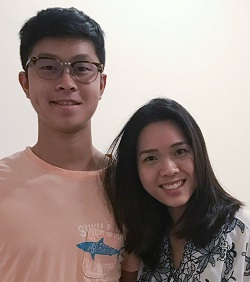 All her students from ACS International, SJI International, United World College (South East Asia) and Tanglin Trust International achieved outstanding results in IB Chinese under her tutorship. Belle also takes in students on Primary Math and English and is competent in both subjects. Engaging her services will be advantageous to children who need help in multiple subjects as it saves costs and time. At her spare time, Belle loves to hit the gym or practice yoga. She is also a food enthusiast and enjoys food hunting with her friends and family.